Writing comes very naturally to me. I even write to get my thoughts on order. And just as naturally that leads to essays about a lot of different things. In this section I would like to share some of the material that might be of interest to others. Part 1: Son Of GX! Normally I only put stuff on this website when it has reached a certain maturity but this is about some of the most difficult subjects of them all and I am still struggling with this piece. It is about society, history, mankind, good and evil, the future, etc..
For me these subjects are extra difficult because my own life has not been very easy until now. It is therefore extra difficult to create an objective platform to start from. To distance myself from my personal feelings and instincts so to speak. I am however not only worried about my own situation. I think our world is moving in the wrong direction and my personal fate might be a good example but alas it is not a very unique one. I'd like to turn this essay into something more well rounded, a sort of manifest if you will. A manifest should however suggest a possible solution and as so many that have gone before I cannot provide it out off hand. Until now I mainly come to the conclusion that man will have to mature before things can change for the better. Until then we will be at the mercy of our most basic drives. Why still include it in its present rough form? Because I think it already includes some important insights and from these thoughts some solutions might some day still spring. For the moment my most important conclusion is: Do not blame everybody else for what is wrong in the world. Take responsibility yourself! But I should not give everything away in this introduction. Please read the essay. And should it sound a bit too preachy: You are totally right but awareness must come before action. Taking action while surrounded by people without comprehension has cost me dearly. If you have an opinion about this stuff let me know. Even if we can only agree to disagree it might help us to further our insights. Maybe someday we'll all find a solution together. We'd better! In this section you will find a few articles about one of my biggest passions: Musical instruments. I have always been fascinated by musical technology. Today anybody with a little bit of pocket money can buy all the stuff you need to make good quality recordings. When I got involved in pop music in the early 80ties things where very different indeed. Making a professional recording or even a simple demo was very expensive. You had to hire an official recording studio for a high hourly rate or buy your own semi-professional gear. Setting up your own studio could easily become as expensive as buying a house. I used to spend hours drooling over photographs and magazine reviews of equipment that was utterly out of my reach. By now the very same machines and instruments have often become vintage collectibles but sometimes they can still be bought for prices that are within my reach. And so I have become a bit addicted to collecting those old dream-machines. And I use them in anger to! The chance to achieve musical fame might have passed me by years ago but the creative fun is as great as ever. The following articles describe some aspects of this passion. 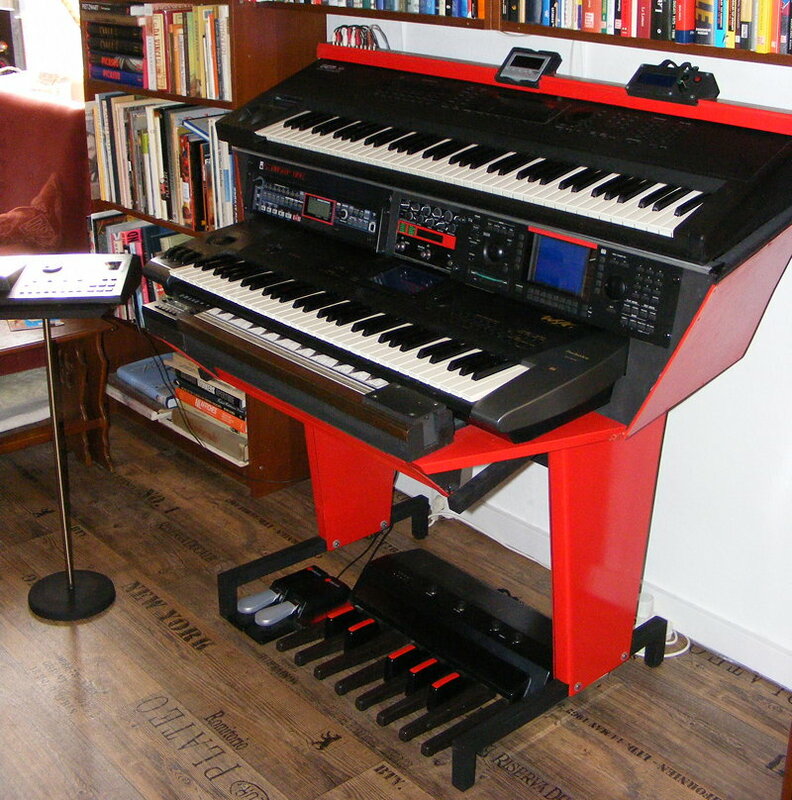 Although it has often been suggested that the birth of the modern music synthesizer exclusively took place in the U.S.A. Japanese brand Yamaha has also been one of the forerunners in the field. The first really versatile, commercially available polyphonic synthesizer was the Yamaha GX1. 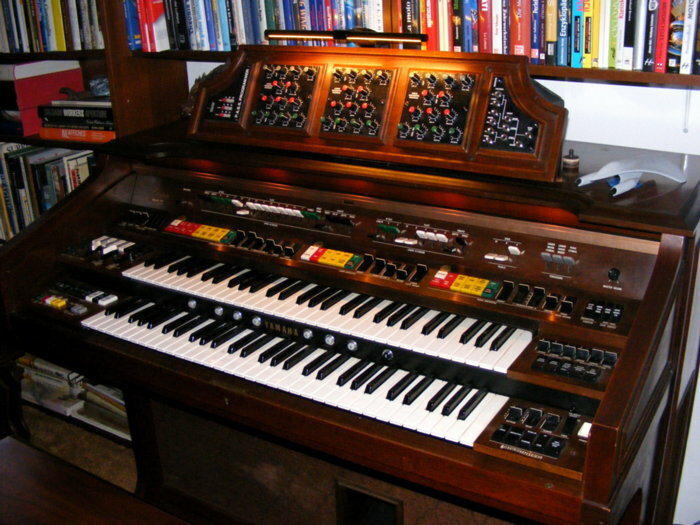 It was developed more or less as a technology demonstrator and sold in very small numbers as their top of the line organ. Well, calling it an organ was a bit of an understatement. Its technology was later incorporated in Yamaha´s now almost mythical CS-series synthesizers. I already wrote this article years ago, originally in German. It´s about the Yamaha CS80 polyphonic synthesizer, my all time favorite analog synth. This instrument now commands ridiculous prices but I was able to buy one when prices where still more or less realistic. Be warned: You must be an absolute synthesizer freak to like this. It is really nerdy. If you are however in to this sort of stuff you will surely be able to appreciate it. As one can see in the Instruments section I have spent quite some time on a project called Starship One, combining Technics 1995 WSA-1 synthesizers with as much expressive power as possible. In the Electronic Music section a 4 piece suite called Zamisdat can be downloaded which was almost entirely performed on this setup. This is a general article describing how the Starship One came about. Ever wanted to scare off all those guitar wielding heroes out there? This article provides some pointers and tips for using a ribbon controller to just do that (and much, much more). The text is based on my experiences with adding the Doepfer R2M ribbon controller to the Technics WSA-1 synthesizer but of course the same principles can be applied to any such combination. An even wider look at introducing expression to multitimbral MIDI synthesizers but taking my experiences with the Starship One setup as an example. Although I decided to include it in this Starship One folder this is actually an even wider look at musical keyboard technology since it describes a concept and practical design for adding a (removable) polymorphic control surface to any traditional piano type keyboard. Now this might all sound rather esoterical but do not underestimate the power of the described concept. It is a further development of the keyboard which Paul von Janko already proposed and built in the 19th century. This could / should still be the future since this layout really circumvents almost all disadvantages of our traditional layout. My adagio has always been: Never say that being the accepted standard is the same as being the best possible solution. The extra advantage of my adapter is that it can be used to convert any standard sized conventional keyboard but also again be removed with ease. All other thing being equal it can even be moved from one keyboard to the other! So start building yeh all! My love for late 70ties analog Yamaha technology doesn't stop with the CS80. What does one do when its GX1 forerunner is totally out of reach e.g. too rare and thus unobtainable for a realistic price? You can just dream on or you can come up with an alternative. 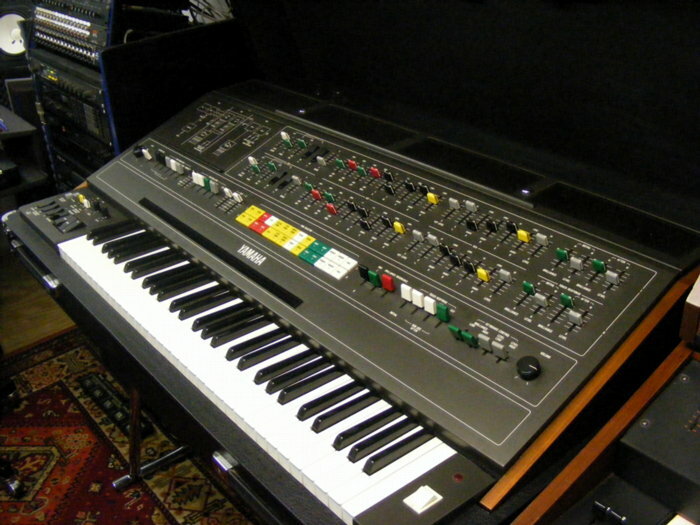 A of GX1 technology was later incorporated into the CS synths. It was however also used in the EX and E-series organs. Top of the line of the home organs where the E70 and E75. And guess what: With some difficulty these preset organs can be turned into a fully programmable equivalent to the GX1! And thus my journey began. These articles describe that adventure but it also contains a step to step customization guide. Since I put some clips about it on YouTube a lot of people have already asked for a copy of this via email. Now it is available as a download on this page. If you want to know how the Son Of GX sounds have a listen to Balance in the (Post)Modernisms section of the Electronic Music page. A description of which parts of this track where actually played on the Son OF GX can be found in the accompanying text. Full proof of my love for the Technics WSA1 acoustic modeling synthesizer is oozing out of every pore of my Starship One project (which see). In 2016 I actually wrote 2 parts of a programming course for the wsa1.technicskeyboards.com website. You will also find a 3rd installment here. So long live the Technics WSA1! May this help to add to its status. For rarely has a synthesizer been so underrated!